Rajasthan RSMSSB LDC Admit Card 2018, RSMSSB Clerk Call letter 2018 Download here: Rajasthan Subordinate and Ministerial Service Selection Board issued RSMSSB Lower Division Clerk Recruitment 2018 Notification form post of 11255 LDC/Clerk Vacancies. Candidate who are going to appear in exam Rajasthan LDC posts in August and September according to their Names. they can download their RSMSSB LDC Admit Card 2018 by click on below available link. We will update link for Rajasthan Agriculture Supervisor Exam 2018 after declaration of Rajasthan LDC Call letter 2018 at official website. Stay connected with us for latest and upcoming update about LDC Exam 2018-19. Name of Post: Lower Division Clerk (LDC). (i) Senior Secondary from a recognized Board or its equivalent Examination. (ii) “0” or Higher Level certificate course conducted by DOEACC under control of the Department of Electronics, Government of India. Certificate course on computer concept by NIELIT, New Delhi. Computer operator & Programming Assistant (COPA)/Data Preparation and computer software (DPCS) certificate organized under National State councilor Vocational Training Scheme. Degree/ Diploma/Certificate in Computer Science / Computer application from a university established by law in India or from an institution recognized by the Government. Senior Secondary Certificate from a recognized Board of Secondary Education in the Country, with the computer Science/ Computer Application as one of the subjects. Diploma in computer Science & Engineering from a polytechnic insititution recognized by the Government. Rajasthan State Certificate Course in Information Technology (RSCIT) conducted by Vardhman Mahaveer Open University, Kota under control of Rajasthan Knowledge Corporation Limited”. (iii) Working knowledge of Hindi written in Devnagari Script and any one of the Rajasthani Dialects. S to Z: 19th September 2018. Admit Card released Date:8th september 2018. People can download for RSMSSB LDC Admit Card 2018 by Only Online mode. For Download your Rajasthan Clerk/Junior Assistant Exam Call letter 2018 here you can read some instructions available here. After click on the “Download LDC Admit Card 2018” Button. Fill Complete application form follow by instructions. Now you need to Fill Data like your Application form number/Registration number. 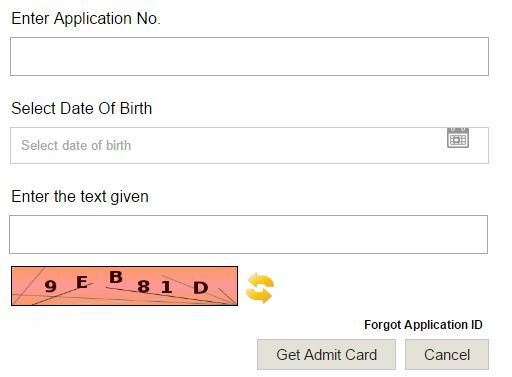 Once you submit your data you will not able to Download RSMSSB Admit Card 2018. Take a print out of your Rajasthan Clerk Call letter 2018 and carry at time of exam. candidates will selected after appearing in Written Examination and Typing Skill tets. Candidates are going to appear in Rajasthan LDC Exam 2018 they can download RSMSSB LDC Admit Card 2018. You can get more updates about Rajasthan Clerk/Junior Assistant Vacancy 2018 Exam by visit here or you can connect with us at Facebook, Youtube, Twitter etc. Keep our website www.jobclicks.in as your browser bookmark.